Oh, Lena Luthor. What have you done? What have you unleashed onto National City? 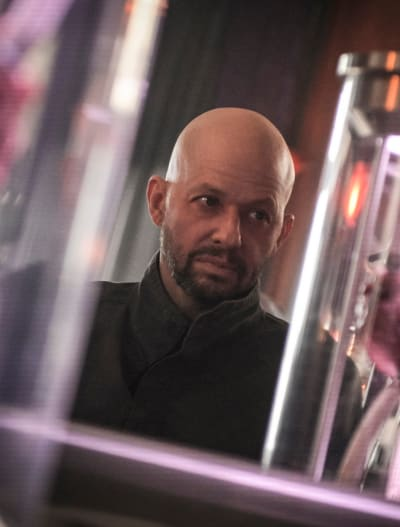 Jon Cryer made his highly anticipated debut as sociopath Lex Luthor on Supergirl Season 4 Episode 15, and it was delicious. I don't remember the last time I enjoyed a Supergirl episode this much. At least not this season. If you thought Manchester Black and Ben Lockwood were terrible for the city, you haven't seen anything yet. There's a reason why so many guards accompanied Lex Luthor upon his release; he's unpredictable and downright dangerous. And while I'm not surprised he could pull a fast one on a bunch of trained soldiers, I'm slightly disappointed his sister allowed herself to get duped. Of all people, Lena should have seen through his facade, but instead, she walked right into his trap like some naive little girl. You would think that after growing up with Lex and being exposed to his manipulative ways, Lena would be more cautious when dealing with her brother. I'm not the one who accidentally poisoned myself with Kryptonite in a quixotic attempt to kill an invincible man. And while I do find the irony that you now need the Black Kryptonite to cure yourself just delicious, you are my brother, Kex. I do want to save you. Besides, how can you pay your debt to society if you're already dead? Instead, she assumed cancer made Lex soft and put her guard down when she thought he was sentimental when all he was doing was buying time. When she eventually figured out that he was responsible for the power outage at the hospital, it was too late. 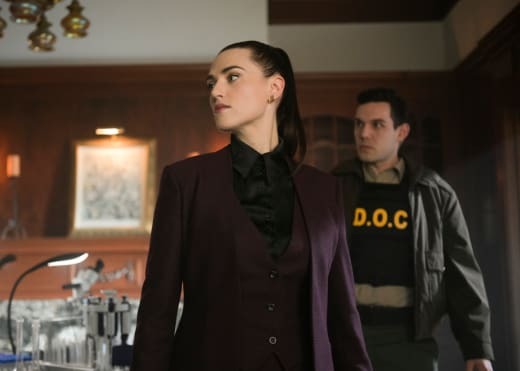 The damage was done, and Lex outplayed Lena in one of the most devious schemes we've seen this season. The signs were in front of Lena the whole time too; she just didn't want to see them. 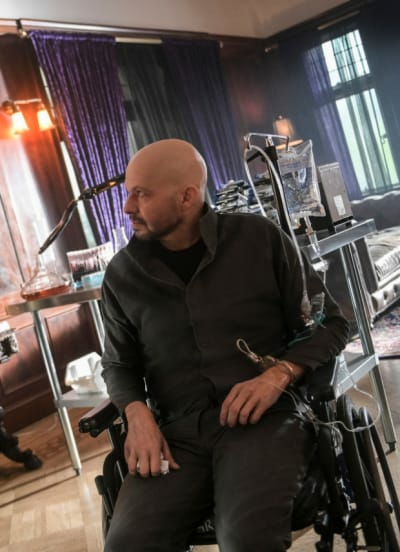 It was a little too convenient that Lex had a stroke around the same time James was shot forcing her to speed up her work on the Harun-El serum just as Lex told her he needed it to save his life. James was just collateral damage in Lex's plan. Many were skeptical about Jon Cryer's portrayal of Lex Luthor, myself included, but I have to say, he nailed it! Cryer is the real deal and will provide the series with a shake-up it so desperately needs. Supergirl has been beating itself into the ground with its political agenda and mirroring of real-life storylines. Cryer's take on Lex Luthor effortlessly tapped into that chilling anti-Kryptonian villain that went from mildly insane to complete whackjob within a matter of seconds. 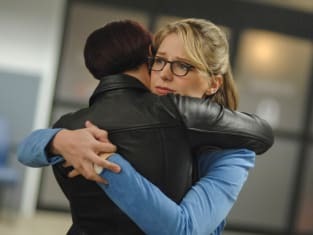 A dash of sociopathic craziness is just what we need to inject this series with the same life it had when Supergirl faced Reign during Supergirl Season 3. Lex and Lena Luthor, teaming up to save Superman's best pal. What would mother think? Permalink: Lex and Lena, teaming up to save Superman's best pal. With Lex's introduction, the series came alive in the same way he came alive after getting injected with the serum. And f the last ten minutes of the episode -- a bombastic over-the-top sequence of Cryer's murders set to a sequence of classical music -- is any indication; it's going to keep getting better. 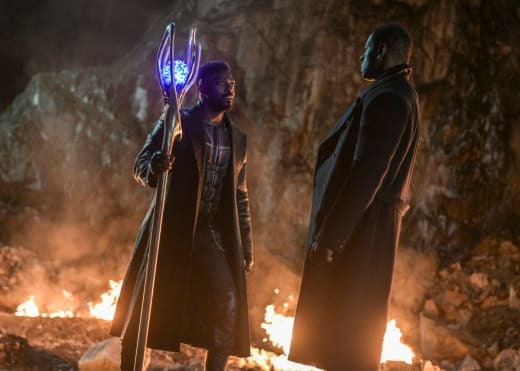 When the episode wasn't focusing on J'onn's tussle with Manchester Black, I'd go as far as saying it was the best of the season. While Lex had many tricks up his sleeve, my jaw dropped to the floor when Eve revealed she was a double agent who has been working with Lex since "forever." 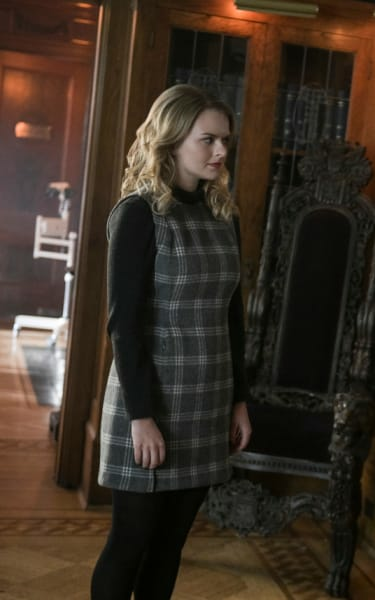 We know Eve is Lex's assistant and mistress in the movies, but the moment was still unexpected mainly because Eve's character has been around since Supergirl Season 1, was Cat's assistant and never had any shady vibes. How did she cross paths with Lex? When did they start working together? And why? Are they lovers? In hindsight, seeing how her presence has ramped up as of late, we should have seen it coming. I guess I can't be angry with Lena for being blind to what was right in front of her, right? Just give the people what they want already! Kelly: Plus, this is the 12th time that I have visited James in the hospital. Kelly: You know my brother, he was running off and diving into something dangerous. It was the way he coped when things got hard at home. Alex: If you keep running than you don't have to stop and feel how much you're hurting. Permalink: If you keep running than you don't have to stop and feel how much you're hurting. If you weren't shocked by Eve's swapping Luthor allegiances, you might have been shocked to see Otis was still alive. You can't keep these bad guys down. But Supergirl won't stop trying. As Lex victoriously jetted away in his helicopter after leaving Lena imprisoned, he had a brief run-in with the Girl of Steel. Given his distaste for her Kryptonian cousin, I can't wait to see their first face-to-face. Lex's distaste for Superman, and thus, Supergirl, really fits into the current anti-alien climate in National City. We don't know what Lex has up his sleeves, but we know it's stupid to underestimate him. While everyone thought they didn't have to worry about him as a threat anymore, he's been plotting away in prison for years while waiting for the perfect moment to strike. And there's no better moment that when the country is already tearing itself apart. He still had a lot of pull from the inside since he admitted to securing the DEO funding for Lena. If Alex and friends knew that Lena was working with Lex again, they would have never allowed her to give the serum to James. 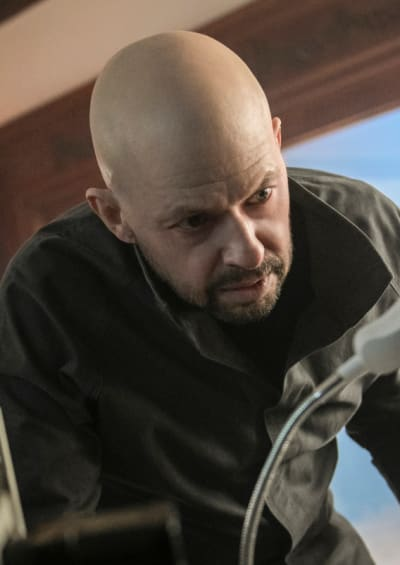 We know Lex is going to be involved with the Red Daughter storyline because the episode opened up with a flashback to four years ago when he tried to kill Superman with the Red sun. I cannot tell you how excited I am that we'll finally be making some headway here. As I'm deconstructing this episode, it does seem like a significant turning point for Supergirl Season 4. Thankfully, James didn't die. His shooting storyline wasn't as impactful mainly because we all knew he would be fine. But now James and Lex are connected as the first two people who have taken the serum. In an interview with Entertainment Weekly following the episode, Cryer teased that "some powers would be involved" as a result of the serum. Loosely translated, that means there's about to be a superhuman fight between James Olsen and Lex Luthor, and I'm here for it. James' near-death experience also introduced us and the characters to Kelly Olsen, his sister. Kelly: I picked the safe option. This isn't supposed to happen when you pick the safe option. Alex: Kelly, look, no one could've predicted this was gonna happen. You made the best decision that you could for your brother, and Lena's drug wasn't ready then. But it's ready now. Now, look, I know you have 1,000 reasons to not trust Lena Luthor, but I'm not asking you to trust her. I'm asking that you to trust me. Permalink: I picked the safe option. 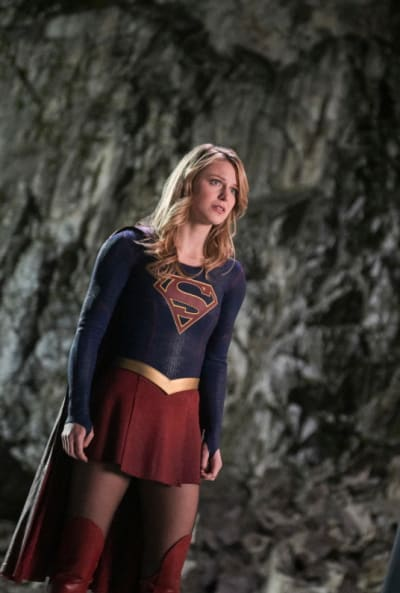 Before the episode even aired, Olsen got upped to series regular for Supergirl Season 5. That information paired with how intimate her scenes with Alex were gives me the impression that there's a love story brewing. Hopefully, Kelly has more of a storyline than just being around for the sake of Alex having a love interest. The cast is already at capacity; we don't need to add many characters just for the hell of it. The writers have barely found some usage for James. As far as love stories go, Nia and Brainy shared an overdue and electric moment, but since dudes are confusing, Brainy hit the brakes telling Nia that they couldn't be together. Admittedly, Nia's timing wasn't all that great. Brainy hasn't been doing very hot since losing his Legion ring, and he was in the middle of a panic attack because he was so wracked with guilt over not saving James. The best thing Nia could have done was given him some space or just comforted him by being there. Now, for my least favorite part of the episode -- the unfortunate showdown between Manchester and J'onn. Manchester achieved what he wanted by cracking J'onn and forcing him into an identity crisis. I'm just glad Manchester is finally dead. The writers took a character with a lot of potential and made him so annoying it was unbearable. Was anyone else surprised Alex still didn't figure out that Kara is Supergirl? With the threats against National City ramping up, how long is she going to remain in the dark? She already questioned why Kara was following a lead with J'onn, so it seems like she's getting warmer. Be sure to watch Supergirl online and catch up on all episodes! 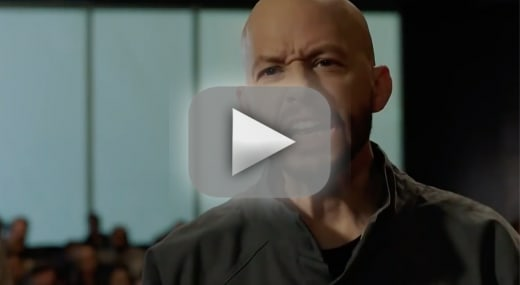 Did you like Cryer as Lex Luthor? Is he going to take over as the big bad for the rest of the season?